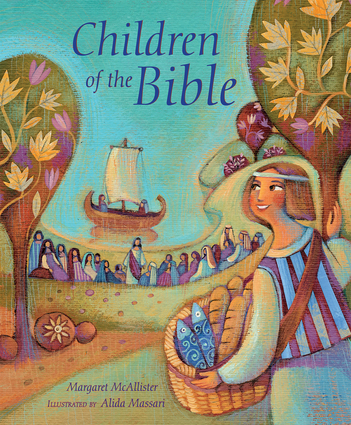 An elegantly illustrated collection of favourite Bible stories with an interesting twist. Margaret McAllister imaginatively retells these tales from the point of view of the children involved. Alida Massari's illustration style, inspired by ancient art and architecture and full of grace and sophistication, is perfectly suited to the book. A beautiful and informative title. Margaret McAllister is an experienced author for children. She has written a number of books for leading publishers, and has been shortlisted for the Ottakar's Children's Book Prize. She specializes in historical fiction.Alida Massari is an award winning artist who studied Illustration at the European Institute of Design in Rome. She finds inspiration from ancient art and architecture. She describes her work as modern with an ancient atmosphere.